At Exind, we not only offer the best in home furnishing fabrics, we inculcate a sense of responsibility in everything we do. Our objective is not to take but to give back. 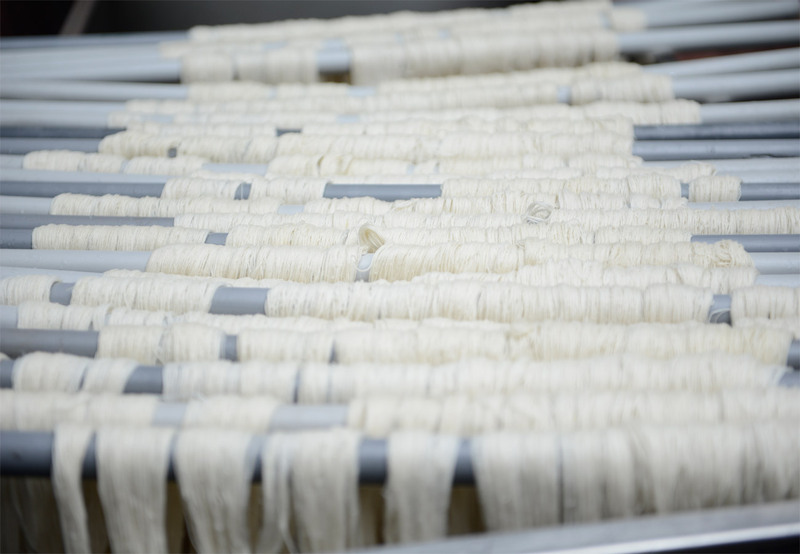 Taking a conscientious approach, we ensure humane standards for all involved, particularly the weavers themselves, as well as high eco-friendly standards when it comes to our products. It is this sustainability that forms the backbone of our entire operations and is the key reason why we are a preferred provider in the industry. Seated amidst rows of over a hundred handlooms and surrounded by the repetitive sounds of countless shuttles, Kunnikannan lets his talent do the talking. A handloom weaver for the past 58 years, the perseverance and dedication to his craft can be seen as he as he spins the yarn; then intersects the thread on the loom, working his hands and legs to keep the shuttle going back and forth to produce a fabric so fine, it just slips through your fingers. The expression on his face though, is one of concern. Not for his own well-being, but for the art of handloom weaving. Once a profitable industry in his hometown of Cannanore, Kerala, it has today turned into a poor person’s trade. One which the next generation wants no part of. 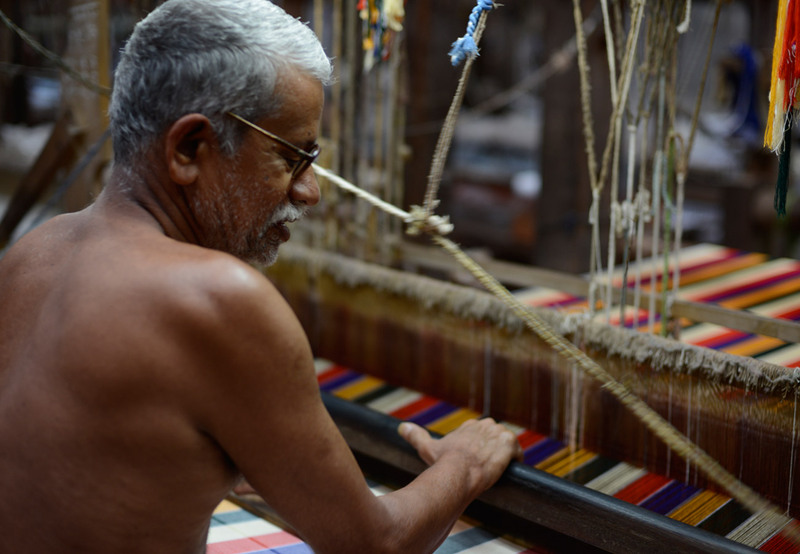 With the advent of powerloom production, handloom weavers like Kunni see their livelihood, and more importantly, their tradition being threatened. That’s where we come in. Together with Exind, Kunni and several other hand-weavers and suppliers have understood the value of consistent quality and its importance in sustaining interest in handloom cotton fabrics. Working closely with several skilled weavers like Kunni in Cannanore, Exind plays a contributing role in reviving this fading craft. We partner with local co-operative societies who train women and interested individuals in the art of hand-weaving, providing employment opportunities as well. Through these efforts, we hope to sustain the handloom heritage of Cannanore as well as support the ageing weaver community. Our natural fibre products sourced through a firm partnership ensures we not only offer environment friendly products to enhance your standard of living, but also enhance the standard of living of people who make these products. We collectively build skills of rural unorganized workers and empower young women, who are employed aftersuccessful training in artisan skills. 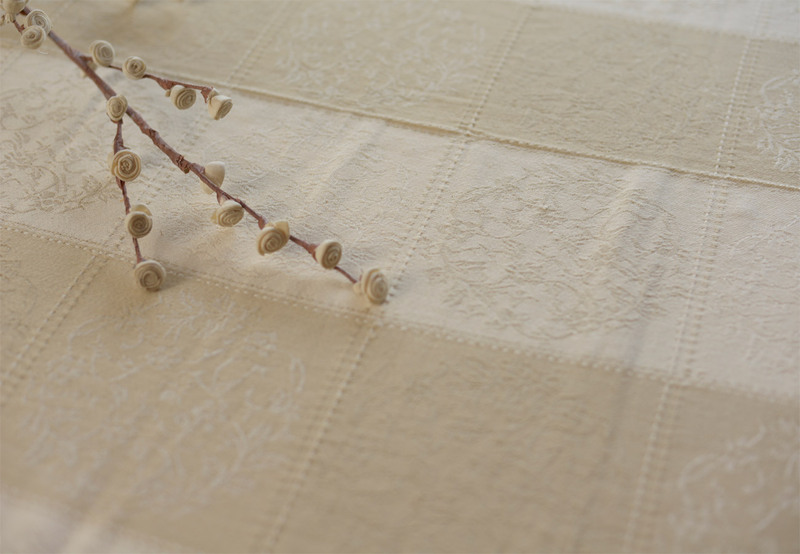 When it comes to choosing fabric suppliers, we are very particular who we partner with. Apart from ensuring proper working conditions and livelihood benefits for weavers, we expect eco-sensitivity, from the materials used to setting up effective waste management practices. The use of organic yarn and GAT environmentally-certified dyes ensure the fabric produced is purely all-natural. The waste water produced during this process, particularly during the dyeing stage, is chemically treated to convert impurities into solid waste, which is disposed of through an initiative by the Kerala government. The purified water is re-used for agricultural purposes. Our production centers ensure that almost nothing goes to waste, while maintaining hygienic working conditions without affecting surrounding areas and residents.